PRESS RELEASE — Minneapolis, MN – February 7, 2017 – Ecessa, a leading software-defined wide area network (SD-WAN) provider, announced today a formal partnership with Sandler Partners, America’s Fastest-Growing Distributor of Connectivity & Cloud Services. The partnership significantly extends Ecessa’s channel presence and is the fourth major partnership announced by the organization since August 2016. Sandler Partners is the nation’s fastest growing distributor of connectivity and cloud services, and has been named to the Inc. 5000 list of fastest growing private companies for seven years running. With a diverse team of nearly 5,000 technology experts and sales partners, Sandler Partners provides solutions for selecting and sourcing telecom, IT and cloud services for thousands of small, medium and enterprise organizations. Sandler Partners’ approach to sourcing telecom, cloud and IT services allows customers to focus on running their business instead of technology service management. “Sandler Partners recognizes SD-WAN as a game-changing solution for next-generation WAN,” said Curt Allen, President of Channel for Sandler Partners. “As customers move to the cloud or look to increase the reliability of their Internet or WAN connections, SD-WAN solutions make sense because they can ensure optimal performance and uptime for customers that can’t afford to be down or need extra bandwidth at an affordable price. For more than 15 years, Ecessa has provided top-of-the-line network management solutions to clients and partners of all sizes and industries. Ecessa’s “crawl-walk-run” approach to SD-WAN provides the best technology solution for the unique needs of each client. Ecessa has a solution for everyone, and offers a simple upgrade strategy, allowing clients to upgrade their premise-based appliance or virtual instance as needed with a simple software key. 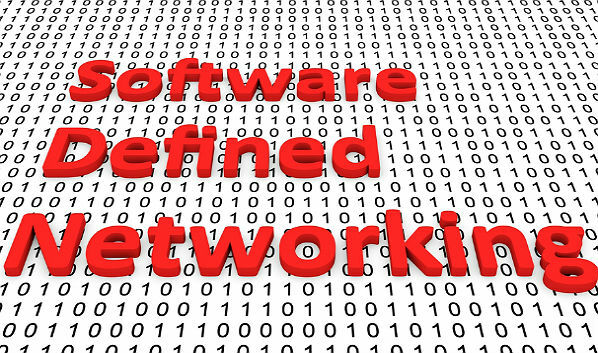 Ecessa designs and manufactures networking hardware and software that provides constant and seamless network connectivity for businesses. The company’s line of WAN controllers has over 10,000 field installations. Ecessa Edge™, PowerLink™, ClariLink™ and WANworX™ controllers enable organizations of all sizes to use any type of private or public network bandwidth to reliably run their Internet and cloud-based applications, connect their offices worldwide and distribute traffic among a fabric of multiple, diverse WAN links, ensuring business continuity by removing bottlenecks and eliminating network downtime. The company’s　SD-WAN technology optimizes Never Down™ performance of business-critical applications, aids in lowering IT costs, and makes it easier to provision, maintain and support business networks and the applications that run over them. For more information, call 800.669.6242 or visit. Sandler Partners is America’s Fastest Growing Distributor of Connectivity & Cloud Services. In 2016, Sandler Partners was named to the Inc. 5000 list of America’s Fastest Growing Private Companies for the seventh straight year. Over the years, we expanded beyond our telecom roots to also deliver best-in-class cloud, colo, mobility and continuity solutions from 200+ suppliers through a network of nearly 5,000 expert technology sales partners — agents, VARs and MSPs — to thousands of small, medium and enterprise organizations nationwide. For more information, visit　. Under the terms of the new agreement, Carousel is authorized to resell the entire Cisco portfolio of networking, security, data center, and collaboration solutions. Tony Thomas had some interesting things to say to investors about MPLS. Sandler Partners’ more than 3,000 sales partners will be able to sell Rackspace managed cloud solutions to their customers nationwide. This establishes a "consistent experience for ShoreTel channel partners" by fully aligning ShoreTel’s U.S. distribution model with the two-tier distribution strategy that ShoreTel utilizes in EMEA and APAC.